Silver-screen enthusiasts are nothing short of spoiled down south these past weeks. The first ever instalment of fresh-faced film festival Indie Cork - a great success by all accounts - has just passed and now the ever-plucky Cork Film Festival pops up for another nine days of movie madness. Remarkably now in its 58th year, this year's gathering will include a whole raft of music-related films, live-scored screenings and post-movie parties. Highlights include Leonard Cohen's 1972 tour documentary Bird On a Wire (Sunday, 10th November), the very first performance of The High Llamas' improvised reworking of the soundtrack for Felix The Cat i.e. 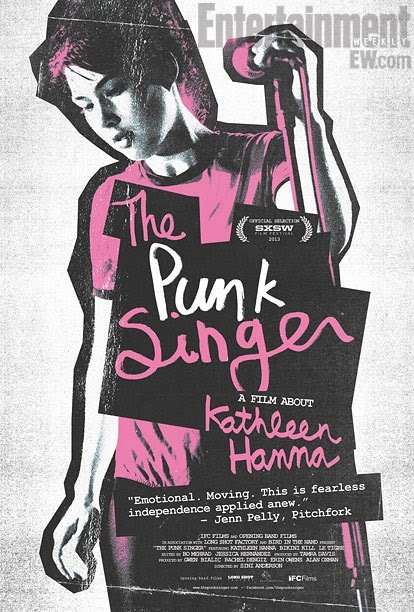 "a spellbinding collaboration of animation and sumptuous pop sounds" (Wednesday, 13th November), a slew of punk-themed docs ending with The Punk Singer a look into the life of riot grrrl pioneer and Bikini Kill frontwoman Kathleen Hanna (Saturday, 16th November), Tom Berninger's fly-on-the-wall look at both his brother Aaron's band The National's 2010 world tour and their own fragile fraternal relationship in Mistaken For Strangers (Friday, 15th November), Julian Cope's favourite Londoners Teeth of the Sea remixing and performing a live score for Ben Wheatley's A Field In England (Saturday 16th November) and a whole host of festival club capers courtesy of Vitaphonic's Discodrome residency in Gulpd Café. Mistaken For Strangers from Cork Film Festival on Vimeo.